The Assessor’s Office is responsible for discovering, listing, and valuing all property within the county as directed by state laws. The Assessor’s goal is equalization of property values which will make certain that all property owners share fairly and equitably in the tax burden. Colorado law currently requires a two year reappraisal cycle. Odd years are a reappraisal year, and all Colorado Assessors are required the perform analyses of local market conditions, and adjust their appraisals accordingly. Even years are intervening years; therefore, only the properties that have an addition or other adjustments will receive a notice of value in the mail. 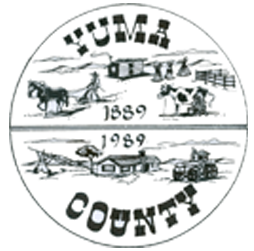 The Yuma County Assessor will mail the notices of value on May 1. PLEASE EXAMINE THIS NOTICE CAREFULLY! The goal of all assessors is to establish fair and equitable values. If there are any mistakes in your legal description, ownership, mailing address, property classification, or if you want to question your value, please plan to visit the Yuma County Assessor’s Office. THE MONTH OF MAY IS RESERVED FOR PROPERTY OWNERS TO VISIT THE ASSESSOR AND DISCUSS ANY CONCERNS THEY MAY HAVE REGARDING THE VALUE PLACED ON THEIR PROPERTY. WE WILL HELP TO EXPLAIN YOUR VALUE, SHOW YOU COMPARABLE SALES IN YOUR AREA AND GO OVER YOUR PROPERTY CHARACTERISTICS WITH YOU. You may file your appeal with the Yuma County Assessor’s Office in person, by mail, by fax, or email. The Yuma County Assessor is responsible for the valuation of all property, real and personal. It is the responsibility of each taxing entity to certify their levy to the County Commissioners. It is then the duty of the Assessor to extend the taxes on the property and create the tax warrant roll. Not later then January 10th the tax roll is relinquished to the Yuma County Treasurer, who then proceeds to collect taxes. Taxpayers must submit taxes to the Yuma County Treasurer. If you have questions about your taxes you should contact the Yuma County Treasurer or refer to the Treasurer’s FAQ page on this site. If you live in the county and your home is built on agricultural land you own, you are only eligible to receive the exemption on your residence. If you live in town or on a residential tract in the country, you will receive the exemption for both your house and the lot or tract. To be eligible the following three statements must be true. You are a resident of Yuma County and you are 65 years of age or older on January 1 of the current year. You are a taxpayer who has lived in your home for ten consecutive years prior to January 1 of the current year. You are a homeowner who has owned your home for ten consecutive years prior to January 1 of the current year. You can only claim one exemption in the State of Colorado. Therefore, if you own a home in more than one county, you can only claim one house for exemption. This is usually based on where you are registered to vote or which home is considered your permanent residence. Your spouse cannot claim another residence in Colorado. You may still qualify if you do not own your home directly. If you have made a trust for the property or it is in a partnership, etc., you can still qualify by filling out the long form. These forms are also available online or at the Assessors’ office. What do I need to move my mobile home? It is illegal to remove a mobile home and transport it over public roads and highways in Colorado without proper permits. The Yuma County Clerk and Recorder, Treasurer, and Assessor work together to provide this service. Do I need a permit to move Heavy Equipment on a Trailer? Yes, Heavy equipment that is loaded onto trailers and transported to different areas of the state for work or repair must have a mobile equipment permit which state that the current year property taxes have been paid. This satisfies the requirements of the DOT when going through the Port of Entry stations. Why did the value of my property increase if I haven’t done anything to it? Property sales within the county set the values of unsold properties. Every two years the Assessor’s office looks at the property sales that occur in the county. The rural areas and cities and towns are aligned into neighborhoods. Each neighborhood has specific characteristics which can differ dramatically from each other. Neighborhoods for rural areas are determined by how far away from an incorporated area, such as Yuma, Wray, Holyoke or Burlington, the property lies. One neighborhood is made up of all the small towns. In Wray and Yuma there are six neighborhoods each. Each property is valued according to sales which occur in the neighborhood affecting that property. Colorado statute only allows residential property to be valued on the sales of like properties (Also referred as the Market Approach.) If the sales are higher, properties can increase in value. If the market is lower, properties could lower in value. How much of my property value is taxed? This will vary depending on what type of property you own. Residential property assessment rate is 7.2% of the actual value. Agricultural, Commercial and Natural Resources (severed minerals, sand and gravel, vacant land, and personal property) are assessed at 29% of actual value. Oil and gas primary production is valued on 87.5% of actual value while secondary production is valued at 75% of actual value. I just sold my agricultural land but I reserved a portion of the mineral interest for a period of twenty years. Will I pay taxes on these severed minerals in the year they are severed? No. Property is valued on how it is owned on January 1 of the current year. The severed mineral interest will not be valued until January 1 of the next Year. Mineral were severed by deed on March 13th, 2006. They will be entered as severed on January 1, 2007 and the tax will be collected in 2008. The same happens if the twenty-year reservation expires on March 13, 2006. The reservation will not be reattached to the land until January 1, 2007 and the owner in 2006 is responsible to pay the 2006 taxes on the severed mineral interest because they owned it on January 1, 2006. Do I send payment for my taxes to the Assessor? NO. All payments of Taxes should be made to the Yuma County Treasurer. Never send tax monies to the Assessor. I own a business. Am I required to pay taxes on the personal property I own at my business location? Yes. All commercial businesses in Colorado are assessed a tax on the personal property they use in their business. A report form is sent to you shortly after January 1st. If this is the first time you are filing, you should list all personal property used in your business. The filing date is April 15th. If you do not return the form by that date a late filing fee is attached to your tax notice. For more information regarding personal property you should contact the Assessor’s Office.